Animation can be brutal. If the long hours of strict concentration don’t get to you, then the tediousness will. But the moments of real magic shine through: that perfect sequence of frames bringing your character to life. Whether managing the tedium or celebrating the victories, choosing the right software can make an enormous difference. And while there are a lot of options on the market for quality animation software, you have to know what best suits your needs. Depending on your price range and medium—3D, or stop-motion, or 2D (hand-drawn)-there are plenty of options to get started. Here’s a rundown of some of the best software options for animation. For professionals in animation, there are a multitude of options, and none of them are inherently better than others. In any of them, you’ll be using the stage to model and animate your 3D figures. If time and money are disposable, a good animator can pull off quality work in any of them. However, for many, the obvious first choices are A﻿utodesk’s May﻿a or 3DS M﻿ax and Maxon’s Cinema 4D. Because 3DS Max is a Windows-only software, let’s focus on the other two. As an animation staple, fluency in Maya opens up a variety of job opportunities and allows you to communicate freely with the majority of other professionals. This is the software to know if you want to break into the industry. You can model, animate, and render all in the same application. The tools available are nearly endless, allowing you to model and move virtually anything you want in 3D space. The drawbacks here are both pretty huge. Perhaps Maya’s most glaring flaw, however, is it’s user-friendliness—or rather, its opaque interface that makes for a steep learning curve to understand its true potential. Access can also be a barrier. The full version of Maya is nearly 1,500 USD per year. They offer their LT version (without the complete set of tools, which, as Autodesk notes, “fits an indie game maker’s budget”) but that still puts out 240 USD annually. Good news for students, however, because a three-year free “trial” is available, which means you don’t need to burn through a ton of money just to learn the software. Maxon’s Cinema 4D, another popular choice, comes with a gentler learning curve. It operates sort of like a 3D version of After Effects’ “2.5D” animation, and thus knowing AE allows for a simple transition. Cinema 4D is also little faster than Maya for producing quick renders. But partly because it’s not Maya, it falls short. Depending on your purposes, if you’re looking to work for a larger company in gaming or animation, it’s almost all in Maya. 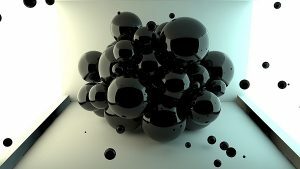 Cinema 4D, however, still has some use in advertisements, television, and other motion graphics because of its speed. Yet Cinema 4D is also massively expensive, but without the free trial options. A full package can run as much as 3,700 USD. Plus, because it is not as widely used as Maya, there are fewer quality tutorials to learn the program. Which brings us to Blender. Blender forgoes all monetary access barriers: it’s open-source, free to download and use. You model and animate in Blender as well. Because it’s free, you can trawl tutorials at your own pace without worrying about your trial ending like in Maya. For animation, there are some differences could get in your way. The timeline in Blender, for example, is noticeably inferior to Maya’s, only letting you scrub through. But the only thing that’s going to really trip you up is that both the interface and the shortcuts carry big differences. Why does it matter that they’re different? Imagine spending ages learning the nuances of Blender only to find your new gig forces you to unlearn those reflexive shortcuts for something entirely new. It’s not a total loss, but breaking muscle memory habits can take a long time. Looking to do character animation for a major film or gaming company? Maya’s your best bet—it translates most easily to the professional world. Want to make professional 3D animation quickly? Maybe Cinema 4D is for you.If you have no money or you want to learn without a huge investment: Blender. Ah, the other 3D animation. While you may think all you need is a camera and some time, you’d be missing out on all of the amazing features modern stop-motion animation software and frame-grabbers provide. For this medium, we’ll look at three programs that will help you capture the best images and streamline them into animation as easily as possible. The obvious choice here is Dragonframe. Not only is this what the big studios use (well, for stop-motion, Laika and Aardman are the only “big” studios in stop-motion), but it’s also an excellent choice for solo productions. At 295 USD (which comes with a shortcut controller so you can have access to everything you need right at your stage instead of jumping back and forth to your computer) and endless updates, it’s by no means cheap, but it’s not going to bust your animation budget like some of its cousins in 3D animation. What makes Dragonframe so great? First, it does everything it must do quite well. It takes over your camera so you can make adjustments in the application without touching your camera and ruining your shot. It helps you see how much your current shot has moved, where it was previously, and makes it easy to walk through your images. It then organizes your digital frames by the shot you asked for. But if it only did what it had to do, it wouldn’t be the overwhelming favorite. Want to draw hash marks to plan a shot in advance? Or maybe you want to plot your mouth movements for a character in advance and be sure you’ve got it right before your character is in action. Or maybe you’re just interested in excellent time-lapse software. Dragonframe can do all of this and (forgive the sales-pitch speak) a whole lot more. With regular, useful updates, there are few reasons to go with anything else unless it doesn’t support your super old digital camera. Another option to go for is Boinx’s iStopmotion. While significantly cheaper (at 50USD), it also does a lot less. The biggest drawback here is that it captures frames through a video feed instead of taking frames through your digital camera. So while you may be able to grab decent frames, it will have nothing of the depth that your DSLR can take directly. No amount of onion skinning and chroma keying (which Dragonframe does better in both) can make up for this deficit. If you need a free, open source option to make sure stop-motion is for you, there are choices available. While there are plenty of bare-bones frame-grabbers out there, one that seemed popular, FrameByFrame, can help you test the waters in stop-motion. Unlike Blender, this one is not free because it’s been developed open-source, but rather it’s free because it’d be hard to charge for a program that does so little. Be prepared for noting more than software that grabs the frame and lets you play it back at your desired frame-rate. That’s it. But it could be enough to see if you have a knack for animating and want to try one of the less free options. Unless you’re totally unsure about stop-motion, the ease of operation and the depth of possibilities in Dragonframe are unrivaled. If you absolutely must go free, give FrameByFrame a spin and then jump to Dragonframe when you’re hooked. Don’t let anyone tell you hand-drawn animation is dead. While studios like Disney shy away from it, the medium still thrives. And while it may seem fun to paint on cells and capture them on film, the practicality of this method falls way short of the software aids that are out there. We’ll look at two leaders—Toon Boom’s Harmo﻿ny and A﻿﻿﻿﻿nime ﻿﻿﻿﻿﻿﻿﻿Studio ﻿﻿Pro.. Alternatively check out our best drawing software guide. Harmony allows you to use vector and bitmapping tools to apply hand-drawing skills to a digital platform. Squash and stretch are incredibly tedious in a program like Photoshop, but Harmony makes it easy with simple handles. Some newer features also make it easy to auto-shade for lighting or export to Unity for 2D game designers. Harmony handles the whole animating process, so you can draw, see how you’re animating while it happens with onion-skinning, and adjust the color and light in the same program. Not unlike Flash, Toon Boom will also handle the in-betweens, saving time (at the price of a little bit of that hand-drawn magic that makes flash feel a little too smooth). There are a variety of buying options for Harmony, but assuming you aim for the middle, the full program will run about 456USD annually. Until recently Anime Studio Pro was incomparable to Toon Boom’s Harmony, but updates in the past few years make it a strong competitor. Anime Studio Pro’s biggest asset has always been its “bone” animation tools, allowing you to create what amounts to a puppet and move it through your scene in a rather intuitive way, including rotation of the head. But now it also lets you draw frame by frame, much in the way that Toon Boom’s Harmony does. It is significantly cheaper than Harmony. There are also free options available for drawing software that lets you put the images together for animation. Animation Paper is an excellent choice to test the waters and get started bringing your drawings to life. On their site, they are admittedly out of date—“It’s old. But it’s free,” they say, without any shame—and the download only works for Windows, but it onion-skins and helps you see what you’re doing. For the serious pros, this time it’s a toss up. Perhaps the price of Harmony scares you away and you like the idea of the bone tools, then go with Anime Pro. Or maybe you prefer more frame-by frame style, then Harmony is for you. If you want to dip your toes without expense, Animation Paper is a fine choice. Once you’ve found the right tool for your medium in the right price range, now it’s time to make that animation come to life! Maybe finish up with some video editing software? Remember that animation principles are independent of the medium. If you understand concepts like anticipation, ease-in/ease-out, secondary action, and others that create lifelike motions, then your animation will be beautiful. The software only helps you get that message across. Think about how you will be animating, and how much you want to spend, and then the choice will be much easier for you.